I am not able to take it on the road until I get it licensed and insured, which will happen as soon as I get the paperwork to the DMV. I have to go about a mile before I have a relatively flat spot to ride. I plan on reporting on top speed on flat roads and climbing the hill. The hill is about 2/10 of a mile and about a 70 feet rise between the bottom and the top. Here are the pictures. I have more, some with a tape measure as a guide. Thanks, I never thought of a bag of groceries or the helmet. I did not see a NHTSA sticker. On the plate with the VIN the statement is "THIS VEHICLE CONFORMS TO ALL APPLICABLE US FEDERAL MOTOR VEHICLE SAFETY STANDARDS IN EFFECT ON THE DATE OF MANUFACTURE SHOWN ABOVE." The low bean shines about 85 feet and the high beam shines about 180 feet. The brake light is easily visable for 100 feet. It seems to have the same brightness as my car if I compensate for two versus one head, tail, and brake light. The small white light appears to be a parking light. The battery charger does not have an on/off switch that I could see. Thanks for the information about calling to get the MSO. I would have waited a long time before calling. Thanks for showing us the pictures. As I feared, the XM3500 doesn't seem to have any kind of BMS, or I'd be seeing wires coming from the battery interconnects. At least it has those nice gray plastic covers over the battery connectors. Curious what the charging voltage from that charger will be. Hopefully about 3.7 volts per cell. If you can find a measurement point for the pack voltage it would be nice. Measurements at as many individual cells as you can reach would be nice too. Plan on installing a BMS. I will hopefully soon be testing a Gary Goodrum BMS on my pack and will report back. I see it does not have the BMS wires as well. I wonder if Mountain Chen has any comment on this (or any of the dealers who may have direct factory contacts) as it is advertized quite clearly. I am also wondering now (although it has been commented not to make a huge difference) if the regen is enabled. Actually looking at the pictures closer, there are some wires. It is possible they are using a segmented BMS where say X numbers of cells are in series per BMS leg. If the number of cells is 3 or 4 then adequate charging balance can be done with LiIon batteries (this is what is done in NB computers and there is not much of an issue). Going much beyond 4 cells in series though becomes a possible issue. As a side note, SLA's are really a series string of cells so when you charge one battery, you are really charging a series string. However, when you have multiple batteries in series you need to charge balance each one due to having too many in series. Henry, I want to add my appreciation for sharing your words and photos with us. Still, if I could have my druthers, I druther you'd sent the bike itself! Waiting's killing me. Yeah, I was expecting a per cell BMS as well. I'll hopefully get to strip mine down this afternoon and see what I find. BMS was certainly promised (and I specifically asked both Chen and API - although I didn't ask about "per cell") - we'll see what the factory has delivered (hopefully Mountain Chen will provide input as well). No regen on this bike either - in fact the brakes don't feel as strong as the XM-3000's. I suspect that's because this one has ABS. There IS enough stopping power it's just that the brakes feel softer and require more pull. At the moment I feel like the bike is worth it (yes, I'm a vendor) - but there are a few areas I'd like to see some improvements. But remember - this is the first production version of this model - it's all about continuous improvement! Thanks for the pictures and first impressions. Still Waiting! This is what the NHTSA is looking for on motorcycles/scooters, fresh off their site. I think if this imformation is on the plate with the VIN it is acceptable. that it is doing several+ cells at a time not individual ones. I got a good kick out of Scott going on about the ergonomics of the display, please take no offense buddy I really appreciate all that you bring to this forum. #1Credit to the Chinese for even doing this project, its about profit and there is a huge market here. #2 We all know how the Chinese make their products, cheap and fast so lets not try to have our expectations to hight and look for anything other than a basic stripped down model that we all can and will improve on! I have done one, and soon two, conversions to 40AH Thundersky cells, and simply balancing the cells in groups of four would not work very well. If it did, I could have just used powercheq balancers and saved a lot of annoyance (I have some for sale BTW). The six individual series connected cells in a lead acid batteries can be equalization charged through a deliberate overcharge at the end of charging - even SLA's to some extent - particularly by maintaining SLA batteries on float. This doesn't work with LiFePO4's. Gary at the endless sphere forum got a request for a quote for multi-hundred unit lots of a 20-cell BMS from a Spanish electric scooter mfg probably doing import/upgrades of Chinese scooters. So, an assembled 20 cell BMS may become widely available and cheap - hopefully they won't ask for some kind of exclusive supplier agreement. Recently a customer brought up a good point about a control box he was using for a replacement on his scooter. His scooter didn't seem to have the torque (acceleration) it had with the old control box and motor even though the new control box and motor were improved with higher wattage. Some control boxes have a ramp up feature which restricts the amperage output to under 40 amps automatically. So instead of putting a full blast of 100 amps to his motor for acceleration it only got a portion of the power of the batteries. This is a safety feature to keep scooters from wheeling. Electric motors will translate power very quickly and thus the design of control boxes to prevent accidents. In the past he had placed a relay on a scooter that allowed him to throw a switch after he was going and make the motor wire directly to the batteries for acceleration and hill climbing. As an engineer he quickly came up with a safe circuit that would essentially do the same thing. The voltage that powered the relay would not be high enough until the scooter was moving fast enough to prevent a wheelie, and then with the press of a button on the handlebars the relay would kick in and zoom you to full speed and acceleration. So you could not press the Turbo Button while the scooter was still and energize the relay. Nice. But the power straight from the batteries was immediate and strong. For under a $100 a turbo circuit could make a slow feeble scooter strong and fast. It's worth looking into. That will handle a lot of batteries. Hi Mikie, no offense taken, just an honest critique of what appears to be a cumbersome design. I I do believe in not letting the perfect be the enemy of the good. I'm well pleased that the Chinese have brought this bike to market and at a very affordable price point. It's availability should serve to foreshadow of what is to come in the next couple of years. We are approaching a tipping point in terms of EV's becoming the successor to the ICE (and that's a trend that I heartily support, as you might tell from my sig). Coming from the world of RC flight and battery packs I have some experience with LiPo's. Balancers at the single cell leel there are requierd but that is because of two primary reasons. First off we love to hit the batteries with 10, 20 or even 30C drain rates. The second is we want them charged to the max in the minimum amount of time. Draining at 1C to 0.5C allows the batteries to stay even much more easily. Also with RC we will drain them out to almost nothing. Opertunity charging of the scooters helps quite a bit here too. Lastly Lipo's take the first 90% of charge easily but the last 10% is the pain and can take as long as the first 10%. Since were are not charging at 1C the charger can be tuned to more evenly distribute the voltage accross the cells. Now for a charger to be tuned to reasonably distribute accross 20+ cells we probably would need a 48 hour charger. at four cells an 8 to 10 hour charger should work great. This isn't to say that at about 50 or so 50% charges it wouldn't be nice to check on the individual cells to be safe. Also oppertunity charging is key here. Don't run under 20% to be safe and personally I'd suggest to never run below 5% but 10% is safer. Then again 0% may be safe if the manufacturer already has a safety margin built in. Personally I am disapointed though. I was sooooooo wanting on of these but if there isn't a top speed of 55 I can't use it. I wanted it primarily for my work commute of 8.5 miles one way. first mile is 35 mph, then 4 miles at 50 mph and then 3.5 miles at 40 mph. MikeB - the VIN plate matches the format above. John H can confirm as well. The batteries are in sets of 4, there are 5 sets. It looks like there may be room for another pack in the very front if the foam padding is removed. It would be a tight fit, anyway I thought some additional pictures of the battery compartment might help. and a picture of the rear wheel. Here is page 16 from the manual, which describes using permanent magnets to recharge the batteries. Here is a picture of the dash with me sitting it what I think will be my riding position. The output from the charger is (according to the tag) 72.6 V @ 10 amps, I am charging it now to see where it quits charging. The VIN tag looks like the NHTSA sample you uploaded. Re:..using permanent magnets to recharge the batteries. You're a good man Henry ! COuld you elaborate on "using permanent magnets to recharge the batteries."? Earlier in the thread there was talk about the Paktrakr...Ken Hall, owner and developer of paktrakr lives near me and we email occasionally. He is developing a Li BMS system that is near completion, although he did not give me a precise date. I believe it is in testing now. It just means that the motor is a generator/break depending on how the motor controller is configured. Any top speed on this scooter yet? -DC-DC converter replaced with a Dell D220P-01 power supply. -Expensive bank charger until I come up with something better... Still trying. The charger completed charging (red light turned green) and the cooling fan turned off at 69.5 volts. I did not time the charge, however, it has not been really used. (I have played with the lights etc.) Also I noticed that the charger is a Thundersky, however the manual is for a YMC Series charger. The yellow button on the right hand control turns out to be another horn button. I guess I was not pressing it correctly. I pressed it again today and the horn sounded. My fear here is they claim tested to 63 ungoverned. Even then they are probably talking indicated and then with the spedo supposedly being 10 mph off 53 would be top and at full drain. Since this was most likely obtained using topped off batteries then at 90% I'm sure 50 or lower will be the top. Not a good thing as then we'd need to see either a rewound motor or an extra battery set and a new charger along with a new controler too. If the bike eventually delivers on its promise of 55 mph and even returns 30 mile range at a constant 50 mph it will have a major market impact. Especially with short milage commuters such as myself. While I realize the money will never be recovered as 4,000 buys 1000 gallons and even at 20 miles per gallon I would have to make 1176 trips back and fourth to work just to recoup the initial investment, so at least 5 years of 5 days a week. Now that isn't going to happen. before gas went up I was using 24 gallons per week. I now use about 18 gallons of gas a week modifying my driving and conserving routs. With this I could save another 4 gallons or more a week in good weather. Now it isn't the money, I can more afford 24 gallons per week then drop 4 grand, I want to eventually go fossil fuel free and I am on my way. Did you count the number of cells? is it 19 or 20 cells? 69.5 volts is 3.66 volts per cell, which is just right for 19 cells - but to provide a full 60 volts (and obtain the advertised speed, i really should have 20 cells - but in this case the charger voltage is too low. Also, I don't want to rain in the parade, but if the cells were installed in their factory condition, without an initial conditioning charge for each cell, and without a BMS, the cells are probably in wildly unbalanced condition - some may have had end-of-charge voltages of 4.5 volts, others at 3.5 volts. Only a few charge cycles in this condition will ruin some of the cells. 1. Label the cells with a number in sequence, from 1 to 19 (or 20), starting at the _negative_ end of the pack. 2. Rig a 16 to 18 gauge wire from each positive terminal on the cells, (an open-end type connector is convenient) plus the negative terminal of cell No. 1. Label each wire with the corresponding cell number, except the last wire which should be labeled "pack negative". Be very careful not to short anything - wrap tape around your wrenches. 3. Buy some kind of a 22 terminal junction block or connector which provides easy access with the probes of voltmeter, and rig these wires in sequence on the block or connector. Mount this someplace convenient under the seat. Label the terminals with the cell numbers. You now have a convenient way to check the voltage of each cell. This will also be used as your wiring harness for your BMS when you get it. For now, you can check the voltages or each cell. 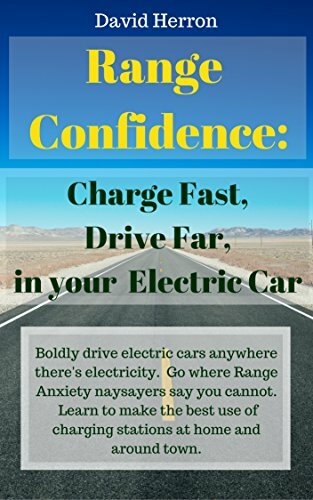 The voltage at 30% to 70% state of charge is not very sensitive to the state of charge - they all vary between 3.25 and 3.35 volts. instead, you will need to babysit the pack while it charges and look for the cells whose voltage accelerates ahead of the other cells, reaching 3.65 volts first, and for the cells that stay behind. You can then balance the pack as it is charging by discharging the high cells (using the junction block terminals) with a few 1157 auto bulbs soldered in parallel, and letting the low cells catch up. It is like playing "whack a mole". It also is only practical if the cells are just a few percent out of balance. If there is more imbalance than that then each cell should be individually charged to an equal level using a bench top power supply or other such regulated 3.65 to 3.7 volt power supply. It is hard to believe that the scooter couldn't displace more driving. If you are using it for commuting, you can use it for most errands too. Add a givi trunk and you can carry a lot of stuff. With the LiFePO4 pack, I can use use my e-max for practically everything from April through October. The car is just for out of town trips. I'm using an average about 12 gallons of gasoline a month. Now, I live in a bit of an old fashioned place where I can get practically anywhere without having to get on a freeway or other fast 4-lane roadway. I didn't even need a scooter where I used to live - everything was a short pleasant walk or short bus hop away. My problem there is a weekly weekend comute to PA to my moms house. I take care of her an the property there. That is 11-12 gallons there at 320 miles round trip. It was almost 15 gallons but I now leave early Saturday (4am) to avoid the traffic jams and stop and go getting there. Henry, excellent post!!! Thanks for the pics! I especially appreciate the "rider's perspective" shot over the handlebars to the guages. From that shot, it does not appear to be as much of an issue as it would appear from the profile side photos we've seen.